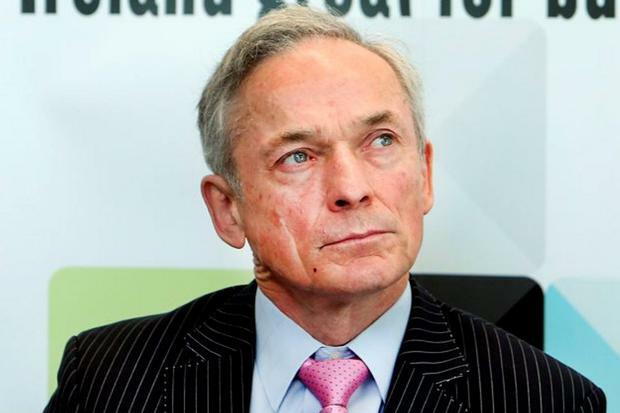 Jobs Minister Richard Bruton wants a 30pc flat-rate tax for skilled foreign workers in an attempt to lure home Irish emigrants who left Ireland during the recession, the Sunday Independent can reveal. The radical tax measure - which is likely to infuriate Irish workers - is the central plank in Mr Bruton's pre-budget submission to Finance Minister Michael Noonan. Meanwhile, Renua Ireland is proposing a 23pc flat tax rate for all taxpayers, which would see the hated Universal Social Charge (USC), PRSI and most tax reliefs and credits abolished. Mr Bruton's 30pc flat tax rate, which would be a combination of USC and PRSI, would be available to foreign workers and emigrants who have not worked in Ireland for more than five years. The rate, which is significantly less than the 51pc marginal tax paid by Irish workers, would apply to those earning more than €60,000 and would last for a maximum of five years. In certain circumstances, the lucrative tax would also be available to highly skilled workers earning between €30,000 and €59,000. Under the scheme, a single person in Ireland earning €60,000 would pay €1,685 more than an emigrant. There is currently an international 'war for talent', with companies based both in Ireland and abroad fighting over the same pool of skilled workers. Other European countries, such as the Netherlands and Denmark, offer tax incentives to skilled foreign workers. The UK is also targeting Irish entrepreneurs based in both Ireland and abroad as part of its economic-recovery strategy. However, a reduced tax rate for returning emigrants is likely to reignite the debate over Mr Noonan's previous claims that some young people left Ireland during the crash as "a lifestyle choice". And yesterday, the Finance Minister insisted it was not possible to introduce tax incentive for emigrants as it would penalise those who had stayed to work in Ireland. "Either we do stuff like this to try to attract people or we don't - that's a political choice", a Department of Jobs source said. Alice Murray - Independent Jobs Tech has changed the way we shop, exercise, travel and interact with our peers. It’s unsurprising then, that technology has completely revolutionised the recruitment space. Ellie Donnelly Recruitment group Hays reported a 3pc increase in fees in Ireland and the UK to £132m (€153m) in the six months to 31 December, despite concerns around Brexit.